When my best friend gave me this book and said, “Carrie, you have to read this!”, the first thing I did was roll my eyes at her. Yet another fairytale retelling. Yawn. But since she’s my best friend, I read Cinder, expecting the worst. Once again I learned that you can’t judge a novel by its premise. Cinder, the first book in the Lunar Chronicles, was not at all what I expected. Set in the distant future and told from the point of view of a cyborg mechanic, there was no way I could have predicted that. I couldn’t even predict the ending, like I usually can with fairytale retellings. So what makes Cinder stand out from the crowd so much? Well, the first thing is the fantastic world-building. Marissa Meyer has obviously thought this world where cyborgs are second-class citizens and the plague is rampant through very well. The level of detail she goes into, her descriptions of otherworldly technology and her avoidance of all the worst science fiction clichés…I could go on and on. So let me summarize her world-building thus: if there are any aspiring novelists out there that need to know how to world build, you need to read this book. As for the plot, wow. Being a retelling of Cinderella, it had the handsome prince, evil stepmother and royal ball, but that’s where the similarities end. And even with those similarities, Marissa Meyer has added her own science fiction twist. Sometimes pre-determined plot markers spook the author and they ruin the character development completely by focusing on the plot instead of the characters. Yet this is absolutely not the case in Cinder. Cinder herself is believable, Prince Kai has many different sides and even the ‘wicked stepmother’ has reasons for being wicked. 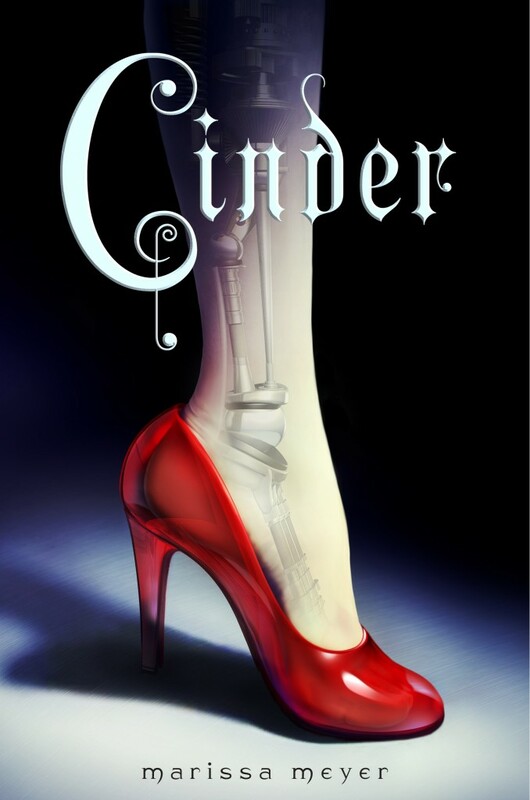 If you’re looking for some new science fiction or even an unconventional love story, I would recommend you pick up Cinder. Like me, you won’t regret it and you’ll be clambering for the next book, Scarlet, which is where Cinder gets to meet Little Red Riding Hood. Alas, Scarlet won’t be out until February 5, 2013. Interesting. A sci-fi retelling of Cinderella. Lol. I’ll add it to the list with Pride and Prejudice and Zombies. I was pretty skeptical as well about the type of retelling, but it definitely works in this case! Pride and Prejudice and Zombies is magnificent. The addition of the zombies is almost seamless with the original text of the book. Maybe I’ll actually have to get around to reading Pride and Prejudice, then. Pride and Prejudice and Zombies sounds good. I’m really glad that you enjoyed it! It’s on my To-Read list and I’m getting it from the library soon! I hope so! I’ve seen some mixed reviews for it, but hopefully I get it soon so I can decide for myself :).